It’s time to win back Senate District 11. Vote John Liu on Primary Day. In one of the most contentious primaries in the city, Senate District 11 has seen more than its fair share of coverage, insight, and gossip across every possible medium. We’re almost all famous. 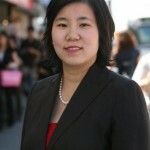 Anyway, those of us familiar with the voting public in District 11 know that John Liu is simply loved. Yes, loved. And for good reason. 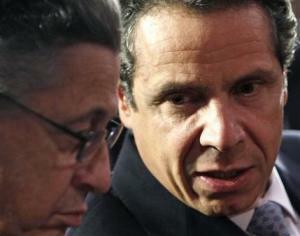 He’s intelligent, charming, and approachable and he would make a perfect fit in Albany. However, the same cannot be said for his opponent who is known to mean vindictive, and outright nasty — even on the job. There’s merit to the argument that says you need to be able to politic in politics to get anything done, but Tony Avella is just not that kind of guy. Rather, he’s the guy who takes it too far and would be better off as an environmental activist. While both Liu and Avella have impressive records — and trust us when we say Tony Avella has a ton of baggage that’s hardly ever mentioned out there — but that’s not the point now, the point is to question who will really serve the district better in Albany, is it the guy who hates everyone or the guy that everyone loves? It’s not rocket science folks. John Liu wins in this category, not to mention he’s the best Comptroller this city has ever seen, after all he did save the city’s pension funds. 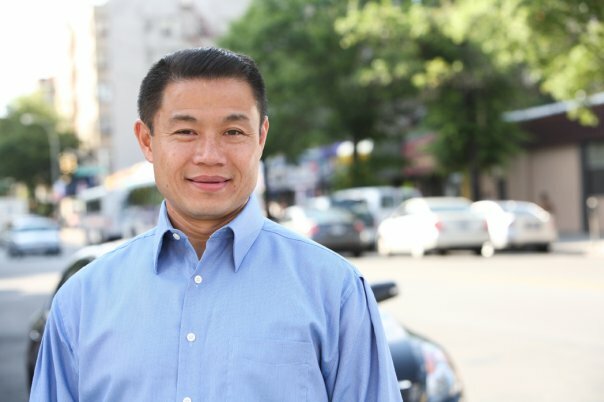 For these reasons, Queens-Politics would like to urge all our readers to pick up the phone and call or text your friends and family in District 11 and tell them to vote for John Liu for state Senate. The Democratic Primary will be held Tuesday, September 9th. Check your poll site here. District 11 includes the neighborhoods of Auburndale, College Point, Whitestone, Bayside, Little Neck, Douglaston, Floral Park, Beechhurst, Malba, parts of Jamaica, Oakland Gardens, Glen Oaks, and Flushing. With the election less than two weeks away, Chuck's endorsement could help deliver victory for Joe Addabbo. So who had a great weekend? 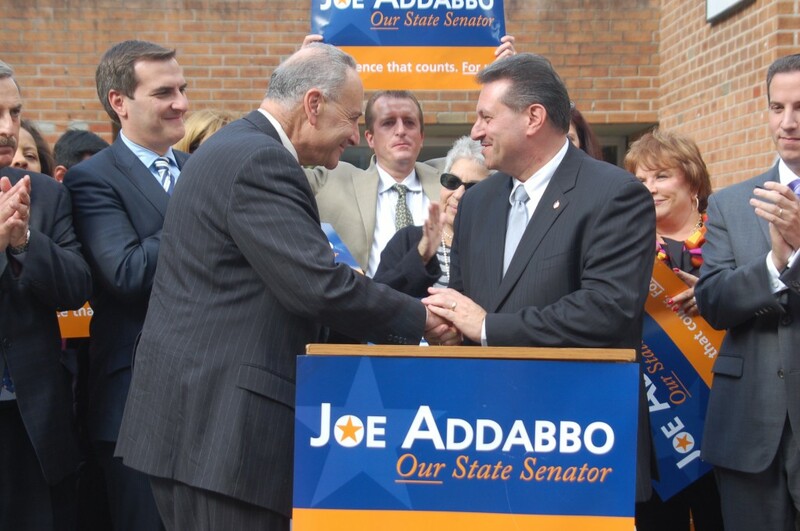 Last Friday, Senator Chuck Schumer finally read the writing on the wall as he whole heartedly endorsed Joseph Addabbo for state senate and effectively put to rest all hopes of Republican Councilman Eric Ulrich taking the seat. 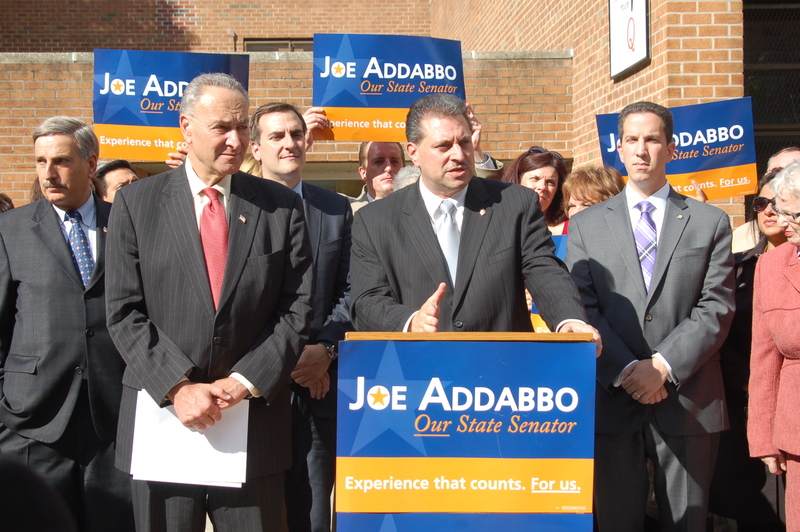 Press Release: Today in front of the Queens Community House in Forest Hills, alongside local supporters and electeds, Senator Schumer endorsed Senator Addabbo for his third term representing New York Senate’s 15th district. “This race is about the working families in our community. It’s about making sure our children receive a good education, about protecting our streets from guns, and about creating jobs in this tough economy. No one knows this more than Senator Schumer, as he has been one of New York’s most loyal and committed advocates,” said Senator Addabbo. During his two terms representing New York Senate’s 15th district, Senator Addabbo has fought for the issues that matter most to his constituents including the creation of jobs, access to affordable health care, stronger gun control laws, senior services, and quality education. 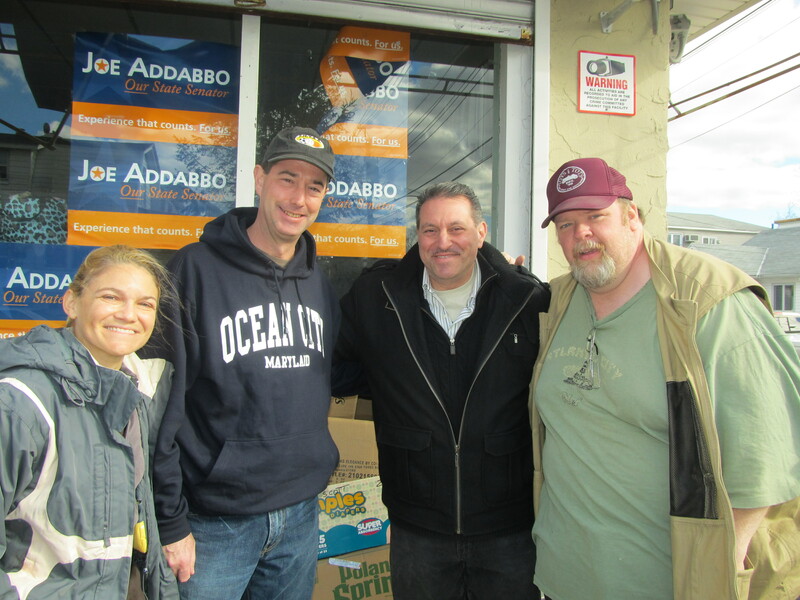 Senator Addabbo is one of the strongest advocates for raising the minimum wage, and consistently stands up for New York’s working men and women. He is also the ranking member of the Senate Elections Committee. A handshake worth more than a billboard. 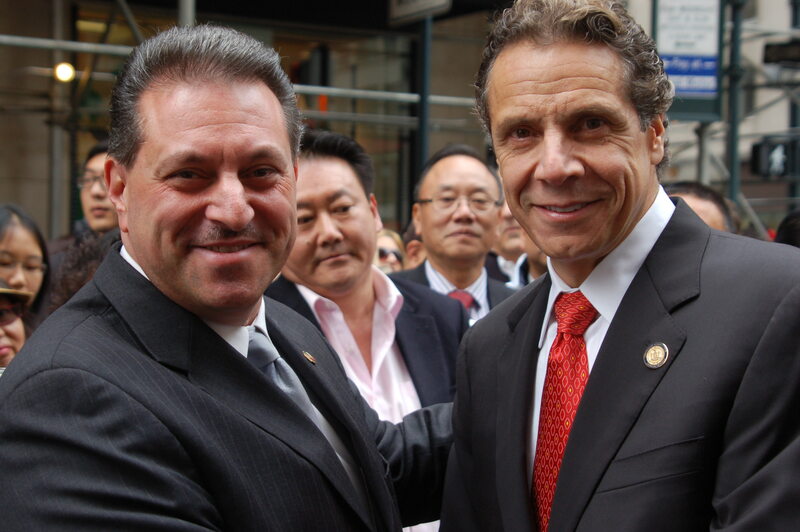 On Columbus Day, Governor Cuomo’s endorsement brings Senator Joseph Addabbo one step closer to reelection. 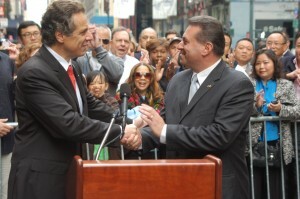 Cuomo extolled the virtues of incumbent Senator Addabbo saying he is a man of conscience, integrity, and courage. 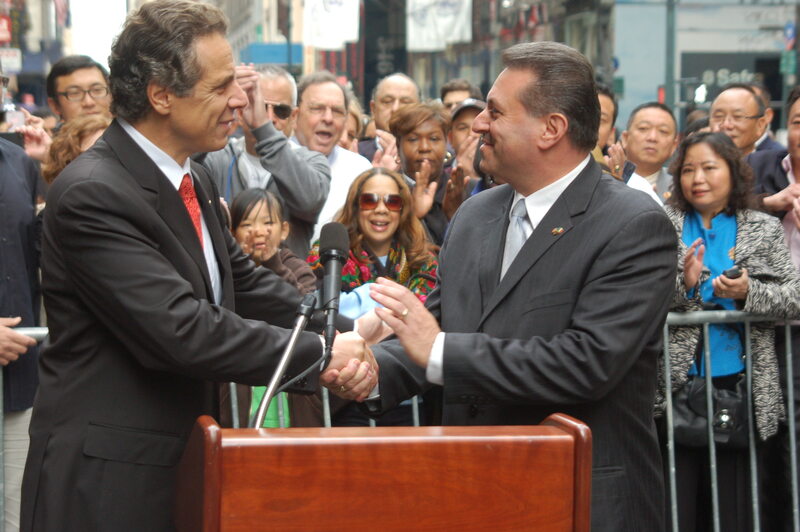 Press Release: Today at Columbus Citizens Foundation’s annual Columbus Day Parade, Governor Andrew Cuomo endorsed Senator Joseph P. Addabbo Jr. for his third term representing New York Senate’s 15th district. 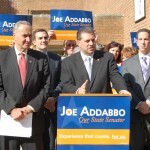 “Political courage, which Senator Joe Addabbo displayed, should be encouraged, not discouraged. And I want his constituents to know today that he is a man of conscience, he is a man of integrity, he is a man of courage, and that’s what you want in an elected official — especially in Albany,” said Governor Cuomo. Governor Cuomo and Senator Addabbo have successfully worked together to create on-time budgets, and fight for important legislation to implement common sense gun laws, bring ethics reform to Albany, and expand access to quality education for New York children. New York Senate’s 15th district encompasses many Queens neighborhoods including Forest Hills Gardens, Glendale, Hamilton Beach, Howard Beach, Maspeth, Middle Village, Hamilton Beach, Ridgewood, Woodhaven, and parts of Elmhurst, Forest Hills, Kew Gardens, Ozone Park, Rego Park, Richmond Hill, the Rockaways, and South Ozone Park. 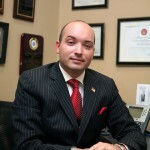 The Reyes campaign proudly announces that Juan Reyes has been endorsed by former U.S. Senator Bob Dole (pictured above with Reyes) and former Defense Secretary Donald Rumsfeld. Juan Reyes received an enormous boost to his campaign for State Senate after receiving the blessing of two notable GOP politicians. Press Release: Dole, a former five-term Senator from Kansas who served as Senate Majority Leader and former Chairman of the Republican National Committee, was the Republican Presidential nominee in 1996. Rumsfeld, a former four-term Congressman from Illinois who served as White House Chief of Staff and U.S. Permanent Representative to NATO, was also Secretary of Defense under two U.S. Presidents. Look out Eric, here comes a storm. In case you didn’t hear, Republican Juan Reyes successfully filed his nominating petitions for state Senate. Reyes, the father of three young daughters, and his wife Meaghan used the petition filing as a teaching experience for their children. 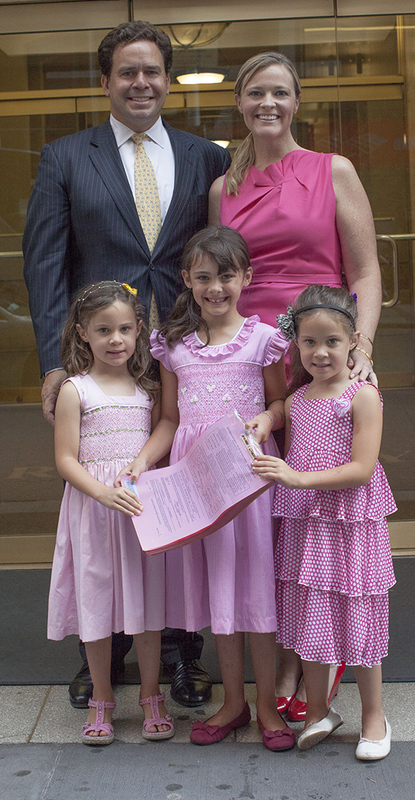 The Reyes girls, ages 5 and 7, personally handed their father’s nominating petitiions to Board of Elections personnel at the agency’s office at 32 Broadway in Lower Manhattan. For more information or copies of this family photo, contact the Reyes campaign at 718-487-9551. Forcina scores in a late two-point conversion. It’s like Super Bowl 42: The underdog Giants against the superpower Patriots. Political ‘feelers’ are out and reporting back the potential Republican Candidates for Tony Avella’s 11th state Senate district. Like Joe Montana, the greatest football player ever, Frank Padavan is being lured out of retirement after a recent injury. He may not be interested, but on paper he’s got serious name recognition. Chance of running 50-50. 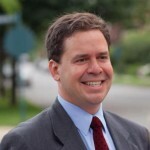 Like Patton Manning, Dan Halloran, long considered a rising star to run against Avella would just have to stay out of it – that’s if Frank throws his hat in the ring. Chance of running 60-40. Like Tony Romo, Vince Tabone is County and can raise serious money just like the Dallas Cowboys with John Catsimatidis as his manager. Vince always comes up short, but maybe 2012 will be his year as he was already redistricted into the 25th A.D by Braunstein and the Democrats. Keep an eye on him. As far as insiders are concerned Marco Desena is still playing in the College Bowl, not much is known about him but who knows as he has Robert Hornak as his Vince Lombardi. 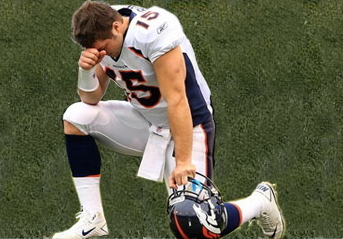 Like Tim Tebow, Elio Forcina, a one-time, pro-life Assembly candidate could be forced into the Superbowl if neither Manning or Montana step up. Elio recently switched parties to become a Republican. Many questioned his decision, but it’s becoming clear as the new lines are finalized. 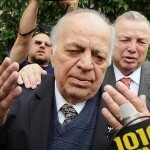 Will Elio throw a hail-mary pass for another play at elected office on the GOP line if Frank and Dan stand down? Will someone rise up from the recent GOP’s Candidate School? 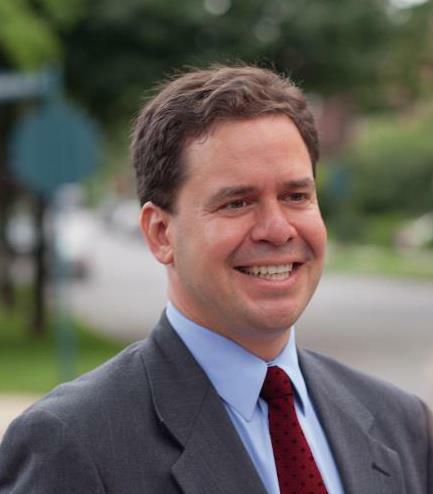 Will the new Northeast Queens Republican club field their own candidate?